Coming soon from Sourcebooks in 2020! Release date, synopsis, cover, and more coming soon! Check out The Last Stargazers website to get book news and updates, or follow me on Twitter (@emsque) and keep an eye on the #TheLastStargazers hashtag! I recently wrote two books with IOP as part of their AAS-IOP Astronomy eBook series. The first is a professional text on red supergiants; the second is a graduate textbook co-authored with Henny Lamers on stellar interiors and evolution. Astrophysics of Red Supergiants is the first book of its kind devoted to our current knowledge of red supergiant stars, a key evolutionary phase that is critical to our larger understanding of massive stars. 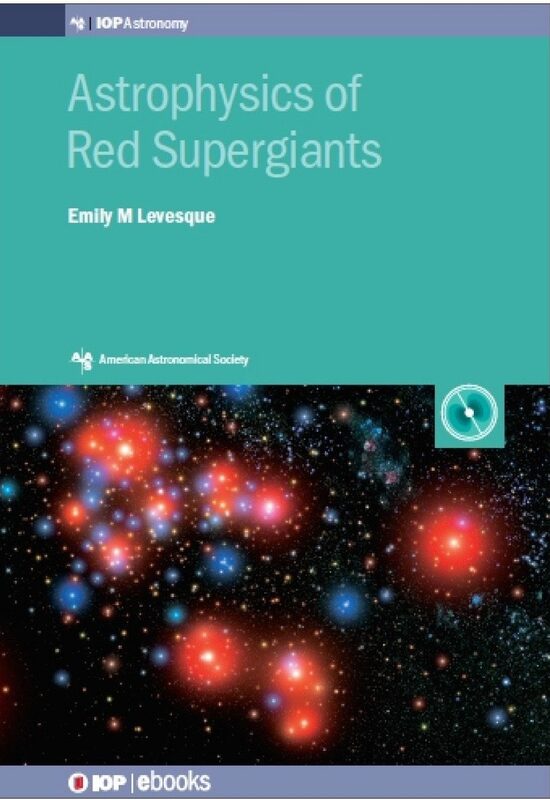 It provides a comprehensive overview of the fundamental physical properties of red supergiants, their evolution, and their extragalactic and cosmological applications. It serves as a reference for researchers from a broad range of fields (including stellar astrophysics to supernovae and high-redshift galaxies) who are interested in red supergiants as extreme stages of stellar evolution, dust producers, supernova progenitors, extragalactic metallicity indicators, members of massive binaries and mergers, or simply as compelling objects in their own right. The book is accessible to a range of experience levels, from graduate students up to senior researchers. Understanding Stellar Evolution is based on a series of graduate level courses taught at the University of Washington since 2004. The book is meant for physics and astronomy students and for anyone with a physics background who is interested in stars. 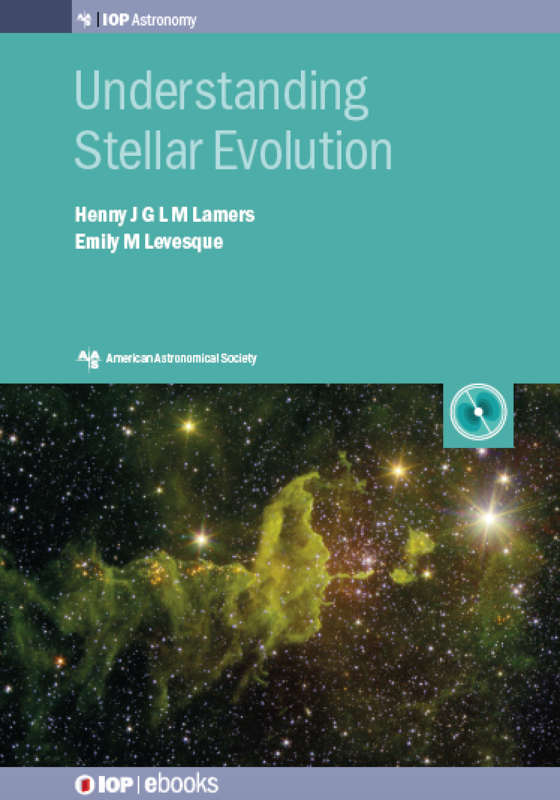 It describes the structure and evolution of stars, with emphasis on the basic physical principles and the interplay between the different processes inside stars such as nuclear reactions, energy transport, chemical mixing, pulsation, mass loss, and rotation. Based on these principles, the evolution of low and high mass stars is explained from their formation to their death. In addition to homework exercises for each chapter, the text contains a large number of questions that are meant to stimulate the understanding of the physical principles. An extensive set of accompanying lecture slides is available for teachers in both Keynote and PowerPoint formats.